I swear I am all out of birthday loot after this post. My dad found a hobby shop by his job somewhere and picked up some presents from my parents for me there. I think he did okay, what do you think? He's no Albert Pujols, but from what I understand this guy was a pretty good ball player, too. 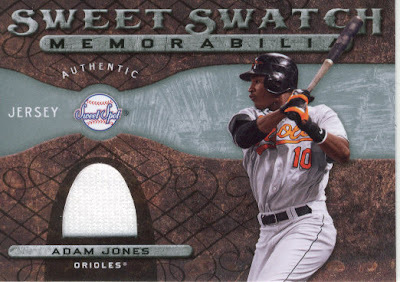 I also got 2 packs of 2009 Sweet Spot which amazed me simply because I wouldn't have thought he would go for a pack like this over regular old Topps or something since he's old school. I crossed my fingers and ripped them open immediately hoping for my Derek Jeter signed glove numbered 2/2 (ahahaha, just kidding... kinda). I really can't look at Grady the same way anymore. I think I might like it better this way, lol. 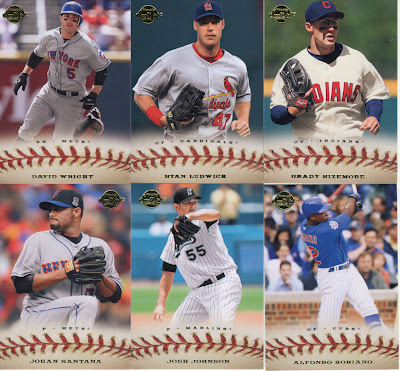 And a few cards for VOTC!!! Overall, this birthday was, in the words of Borat, "Great Success!" 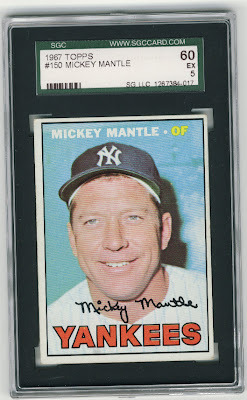 The Mickey Mantle card is something I never expected so that was cool. I also want to make a comment on the grading of that card. If you do an eBay search of some completed listings there are PSA 8's and 9's that were sold that look WAY more terrible than mine. 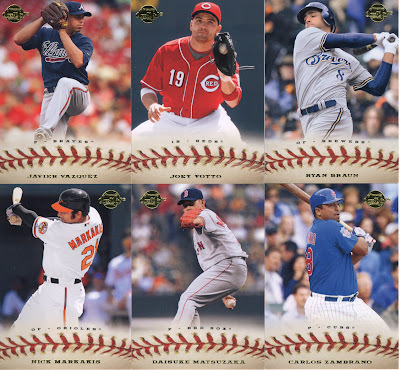 There was one that is terribly off center (I'm aware of the centering on mine, but it's no where near as bad), and it got a PSA 9??? I wonder had this been graded elsewhere if it would have been higher. I don't own many graded cards and I would never buy one for myself but for a card like this I am more on the side of the fence where a graded one is not a bad idea for protection if nothing else. 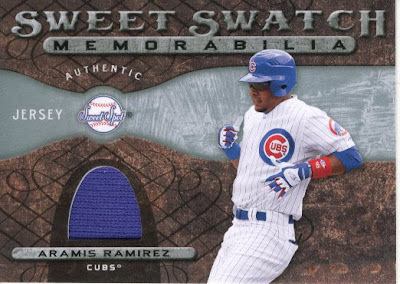 I still have the Bowman Mantle that I was going to get graded and never did (well 2 of them, one is in impeccable shape and the other not so much). Very nice Mantle. Great score for the bday! Oh, no, not another Mantle card! 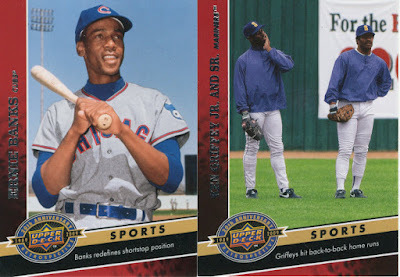 the grading of the Mantle you have, and the ones you were comparing it to, would depend on who sent it in for grading. It's the owner, not the card, that will decide the grade most of the time.